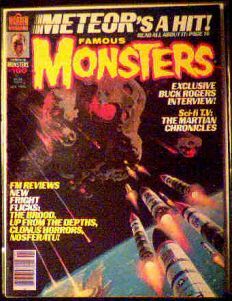 January 1980 issue of FM with feature article on Meteor. Mint condition. The theme of Meteor was much the same as the later film, Armageddon. Website design and hosting by Sohodojo Business Services. Item 136 of 466 items displayed in viewer. 0 items in cart.